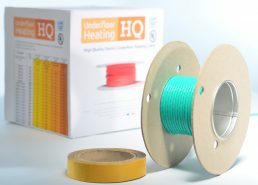 HQcable – Thin heating cable is only 2.1mm thick and is generally used for irregular shaped areas, like bathrooms. Loose cables are adhered to the floor using the fixing tape provided. Installation kit included with each cable. 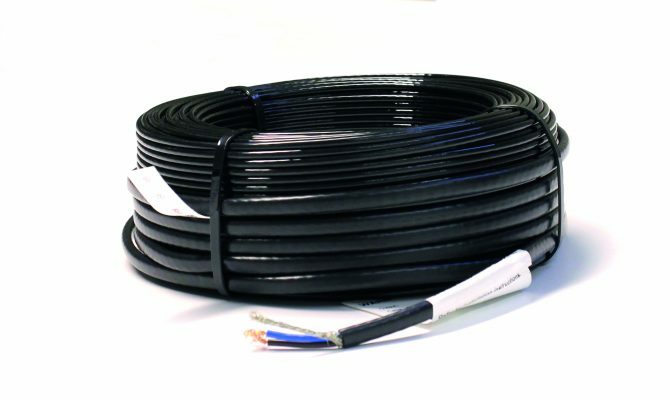 An ultra-thin connection cable that meets requirements and specifications for bathrooms and kitchens. Extra layer of insulation around the heating cable for extra safety. Guaranteed for the life of the floor. Our underfloor heating wire kits come in 6 different sizes. For larger areas we usually combine sizes. Our heating wire is very thin. There is hardly any height added to the floor.Only compare our wire kit against high quality alternatives like Topps tiles or Warm Up products”. The thin heating cable is only 2mm thick and is generally used for irregular shaped areas, like bathrooms. Loose cables are adhered to the floor using the fixing tape provided. Every product comes with comprehensive instructions. If you need advice on what size to buy read our advice or give us a call.